October 4, 2018, Hong Kong – Uber Eats celebrates two years in Hong Kong this October! The growth in the last two years attest to the growing demand for an increased adoption of food delivery apps. Looking into 2019, Uber Eats Hong Kong will continue to offer a no-minimum spend service to ensure that city dwellers and those who work around and off-the-clock have easy access to affordable eating, and will also unbox ways to make dining-in a convenience for micro-home residents, without the boundaries of space and cooking skills. In a sleepless city like Hong Kong, space and time is often a luxury. Apartments are getting smaller by the year, in one of the latest properties being built, over 80% of the flats are less than 200 sq ft, and according to the Census and Statistics Department, the median per capita floor area of accommodation is around 161 sq ft. However, Hong Kongers are known to be a hard-working crowd with no time to cook, and certain apartments are not even equipped with a kitchen to cook. While time and space seem to be a limitation, it doesn’t have to be! Uber Eats service spans across all of Hong Kong, serving over 70% of residential areas. With over 3,500 combo sets perfect for one or two-person dining, users can select from a wide variety of cuisine that can satisfy their cravings easily. In addition to offering an expanded choice and convenience to busy white collars trying to keep up with the hustles and bustles of the daily grind, Uber Eats is gradually becoming a household favorite for Hong Kong residents who are too busy to cook, to commute to and line-up for a favorite restaurant, or have limited kitchen space to prepare a meal at home. In the last 12 months, Uber Eats has found that residents from around Olympic Station, Fo Tan Station, Tsuen Wan Station and Taikoo Station, have topped the number of deliveries to residential areas, definitely living up to the idea of eating smartly into the future! Uber Eats is all about celebrating local cuisines and serving the people of Hong Kong. In the last 12 months, data has shown that Chinese and Cantonese cuisines are ranked highest amongst users in Hong Kong, making up nearly 60% of all orders while Asian and Western cuisines each make up 20% of the orders. We know you love it so we will continue to champion this by partnering with well-loved and home-brew local restaurants such as Nam Kee Noodle, Souper Authentic, Northern Dumpling Yuan and Sun Kee Chicken Congee. Uber Eats is also happy to present some of our latest restaurant partners, such as Meat Pie Gor, Law Fu Kee, Cheung Hing Kee Shanghai Pan-fried Buns and Wing’s Catering, to offer authentic Hong Kong flavors. Looking beyond the horizon, Uber Eats is a growing global business in over 293 cities across 6 continents. Uber Eats is the largest growing food delivery platform outside of China, growing 200% per year with a US$6 billion annual run rate. In the last 12 months and in Asia Pacific alone, the number of restaurant-partners has grown significantly by 430%, from 6,100 to 26,000 restaurant-partners. Number of orders have also seen a six times increase in the last year. A single user ordered Uber Eats 354 times last year – almost an order a day! A single user ordered Uber Eats 67 times in one month – almost twice a day! 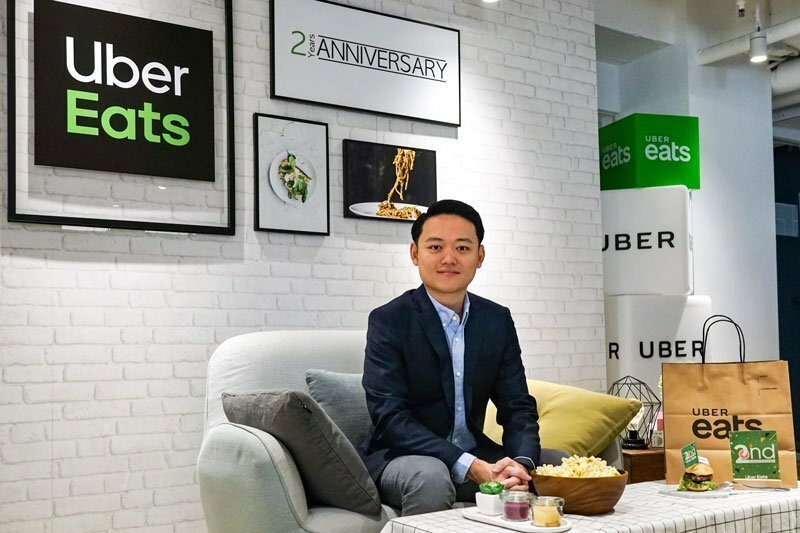 Exciting promotions to celebrate Uber Eats’ 2nd Anniversary in Hong Kong! Existing users can enjoy free delivery from over 50 participating restaurants-partners. Restaurants include Satay King, Sun Kee Chicken Congee, Mak’s Noodle, Hay!, Wing’s Catering, and much more! Limited offers only. New users can enjoy a 50% discount from 100 participating restaurants-partners. Restaurants include McDonald’s, Jollibee, Nam Kee Noodle, Hakka Shop, Mui Kee Cookfood Stall, Starz Kitchen, and much more.